Home \ Blog \ What is the east end of Toronto’s next big thing? What is the east end of Toronto’s next big thing? Wondering what the most upcoming strip in Toronto’s east end? 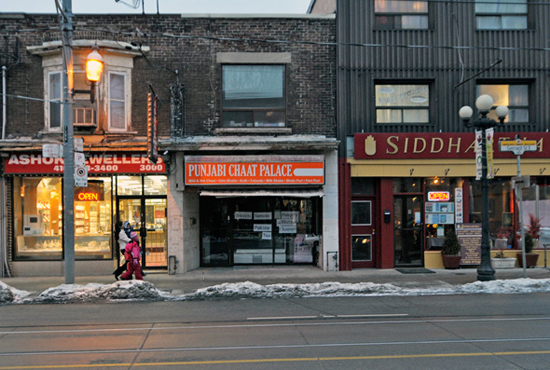 We will have to go with Gerrard Street Through Riverdale going east and right through Little India. Recent businesses to open include Starbucks,GBK,Lazy Daizy Cafe, Grinder,Projection Booth (info here) ,the funky Zero Gravity Circus and Sideshow Cafe , and coming soon includes a Pub and a number of cafes and bars. This strip on Gerrard certainly has the building stock and habitants to test Queen Street with style and culture. My prediction : Gerrard East is the next Ossington. Only time will tell.